Truly the MOST amazing manicure I have EVER seen!!!! knocked my socks off!! 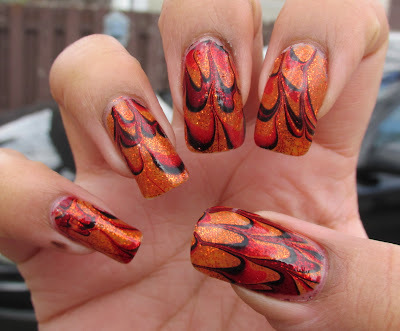 Nice fall inspiration. My water marbles never came out this good! 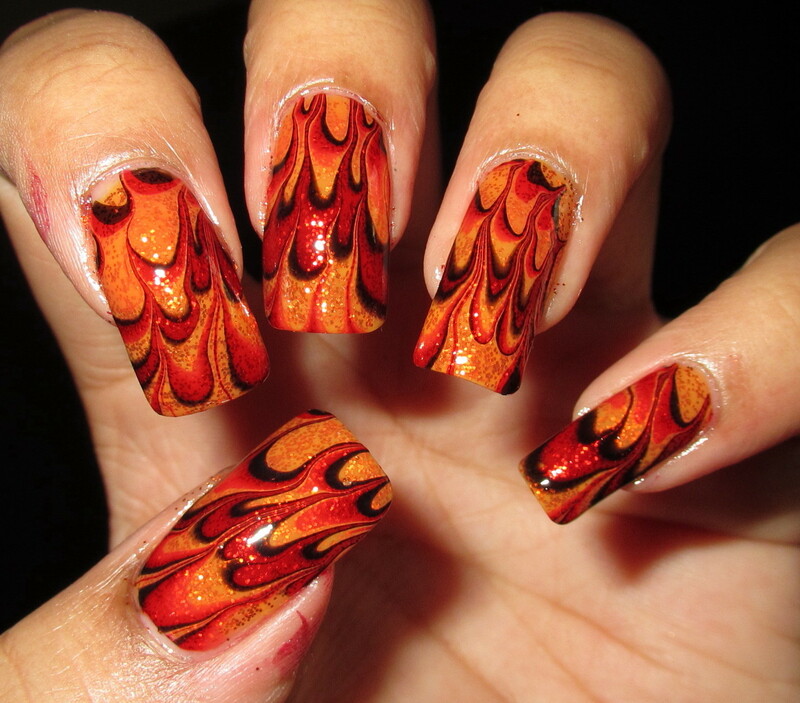 Mine look like something my PS-K Sunday school kids draw! Wow, they're amazing, really look like fire! I haven't gotten round to reading or watching hunger games yet, but it's certainly on my todo list!! OMG it looks fantastic! I have yet to try water marbling. I haven't seen the movie or read the books, but they are on my lost of stuff to read. :-) I'm a few years behind on my reading. Right now I'm in the middle of The Girl With The Dragon Tattoo. This is absolutely beautiful. 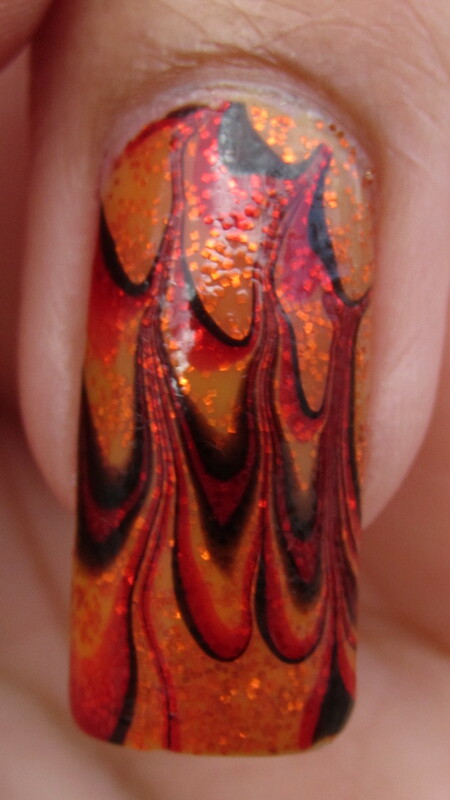 i just posted a new water marble too. 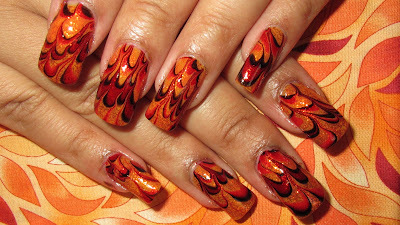 love it and yours looks like fire!! Didn't you post this six months ago? As few other posts? I'm confused, what's the point? 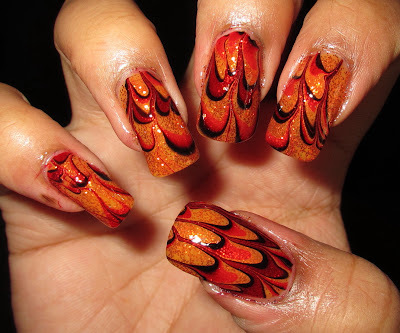 This manicure is fabulous! 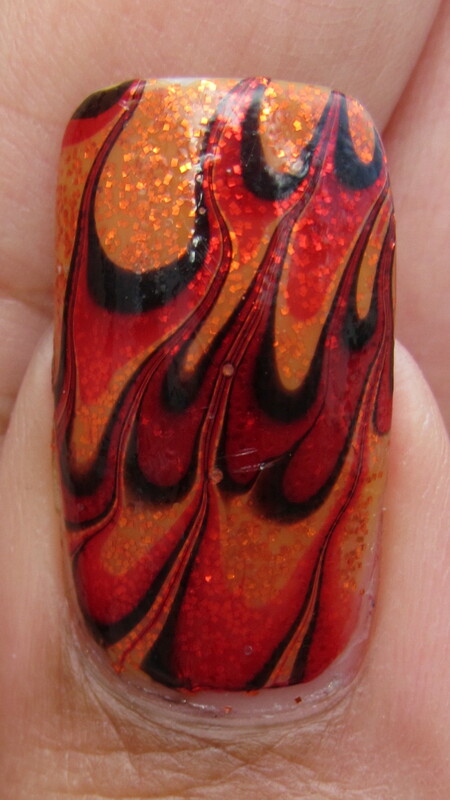 It reminds me a little of painted hotrod flames, which I love! 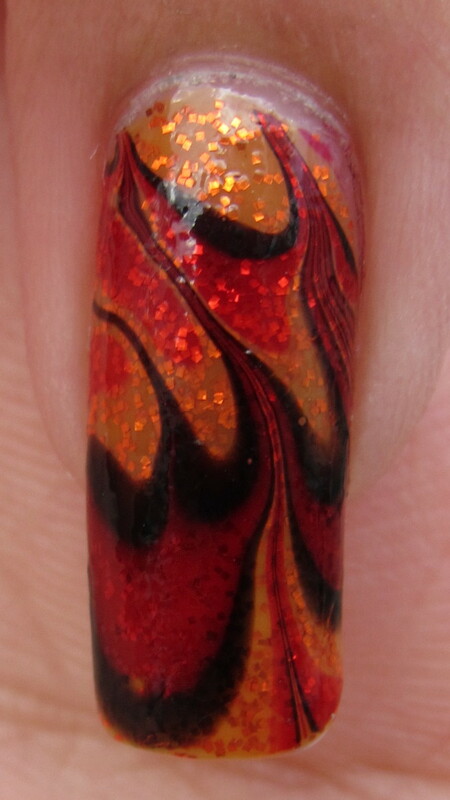 Just love the glitter underneath the watermarble! This is amazing! So, I found one of your tutorials through pinterest and wanted to try it. I don't have expensive polish, but it's also pretty old...and when I dropped it in (it took forever for it to drop because it's thick) it didn't spread, once it even just sunk to the bottom in a glob! 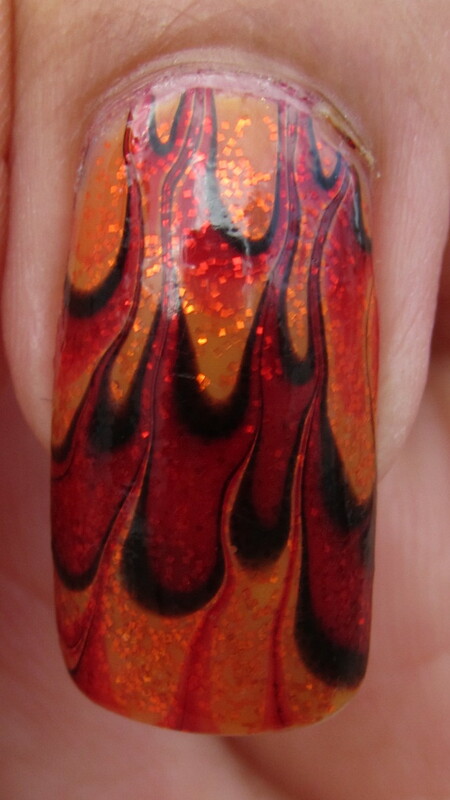 I'm thinking I just need to buy some new polish and try again. But would you suggest anything else? Designs are so rock and roll. so nice colours . . . . nice style . 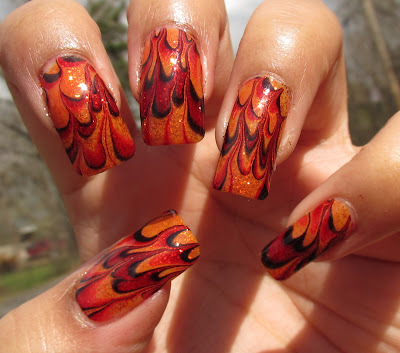 . .
You are rocking those flames, girl!Wonderful!I finally got the knack of marbling...had my first sucess last week and now I want to try different ones...even though my nails are kind of short and don't look fabulous like yours, lol! really cool!! complimenti! do you have Facebook?